Jeeping in the Fall is a fun way to watch the leaves changing and feel the cooler temperatures with the top down -- but there are also some routine Jeep maintenance things you should be doing at this time. 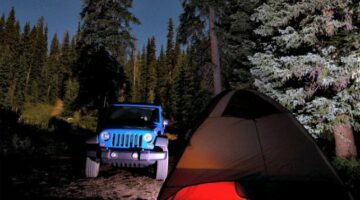 Here are Jeep owners' best tips for enjoying your Jeep in the Autumn months and preparing your Jeep for winter. The pro’s and con’s of riding around in a Jeep Wrangler with the hard top on. Our annual tradition of putting the hard top back on the Jeep for the winter.